I so wanted to like CSI: Cyber. That's why after not being impressed with the pilot I gave it another chance. Nope. It's still not doing it for me. I really like Patricia Arquette. She's part of why I wanted to like it so much. But her character has some of the worst dialogue you can imagine. She constantly reiterates what's already been explained... and badly. I don't blame her, it's the writing that's so atrocious even an Academy Award winning actress can't save it. Arquette's character has a cool way of reading people. It's not unique, but lets face it, in todays television how many things are actually unique. The problem with it in this show is it feels so forced. "Oh we need her to use her 'powers' this episode so lets pick the one scene for it to happen." Actually that's how the entire show feels - forced. It's like writers had a list of what they need to put in it and by golly they were going to make sure everything on that list got in there. When I watch Criminal Minds I believe Penelope. (The BAU's tech aka cyber guru.) I'm not doubting how something is done or how she finds those facts so quickly. It may not be "real life" accurate but I don't care. I believe her. I don't believe anything in CSI: Cyber. I'm constantly thinking, "Can that be done? They made that up. No way that happens that way." The answer to my questions or whether I'm right or wrong doesn't matter. It's the point that I'm taken out of the drama of the show. My suspension of disbelief is ruined. I'm not sure if it's the writing, the acting, the directing... probably all of the above. 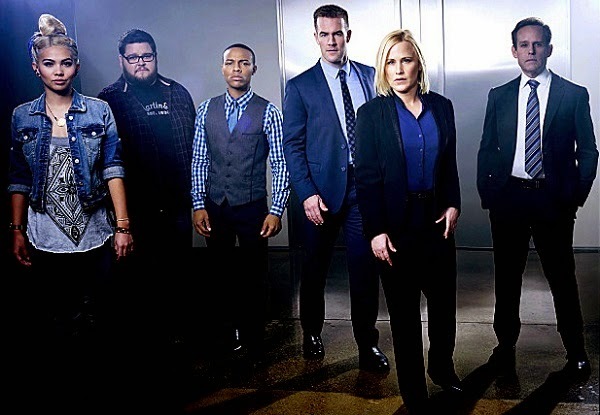 CSI: Cyber needs a complete overhaul, which I'm sure will never happen.